Almonds and chocolate are always a great combination. This is pretty incredible. I love how you've incorporated some amazing ingredients. You have all the good stuff in here, yum! Such pretty muffins you got there. 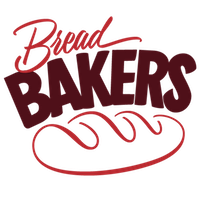 They seem to have EVERYTHING healthy :) Loved this one for #BreadBakers! 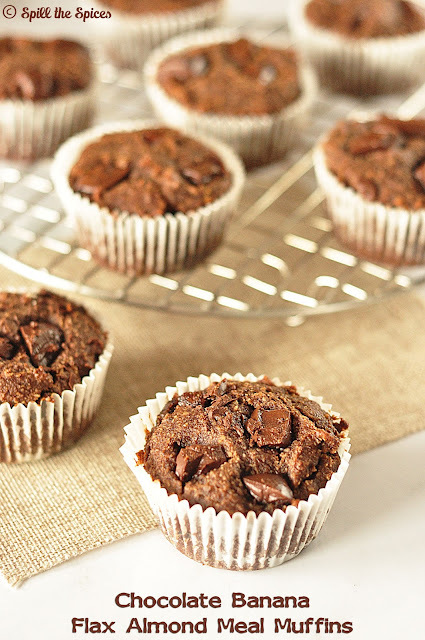 What an amazing muffin recipe this is Sona. Love the addition of almond flour and blueberries in there. These look delicious! 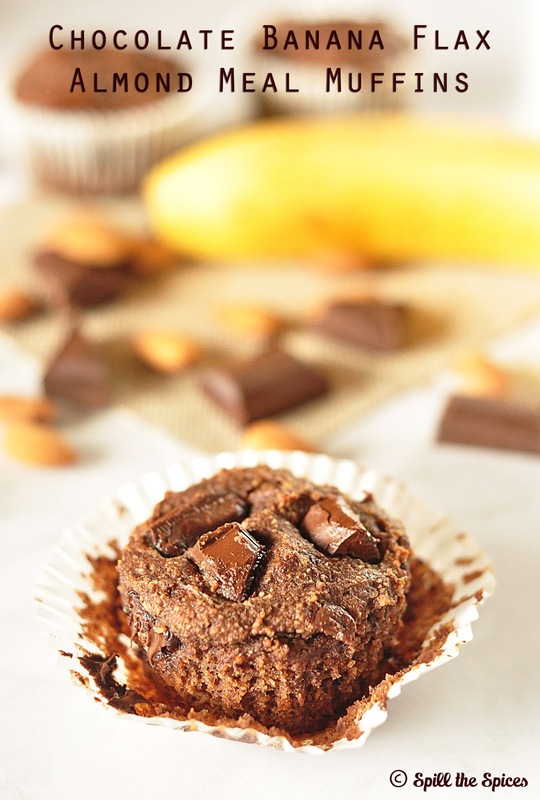 LOVE the combination of chocolate & bananas! 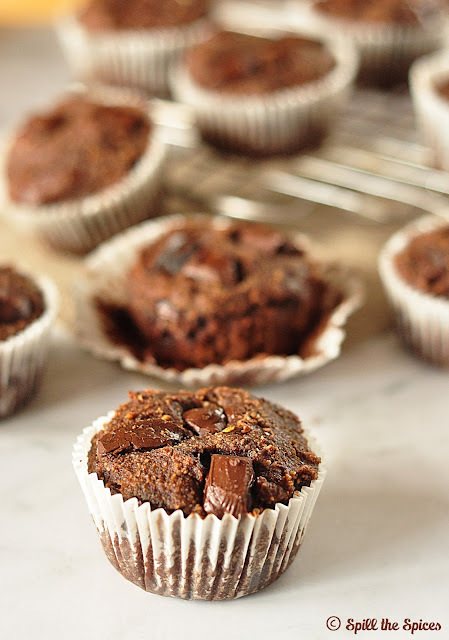 Chocolate is what I crave and I love finding recipes like this where I can have it and not feel guilty too! What a gorgeous muffins !! I just love how moist these look! I would definitely love to eat a couple of them for breakfast for sure! Best of both worlds....healthy grains and chocolate....life is good! Sona I.m trying to reduce intake of wheat so this recipe is great as sometimes I really crave for something sweet. I can have these muffins without feeling guilty.